Make updates to your menus in real time. Keep your website current and your guests happy. HTML menus are text-based, making it easier for search engines to crawl the menu on your website and rank for specific menu items in search results. Trust us: your guests dislike PDF menus, especially on mobile. Search engines don't like PDFs either. BentoBox helps you keep your website menu up to date with fast-loading HTML text based menus. Create new menus for specials or events that fit seamlessly into your website. BentoBox allows you to create custom menus easily—it's as easy as editing a Word document. 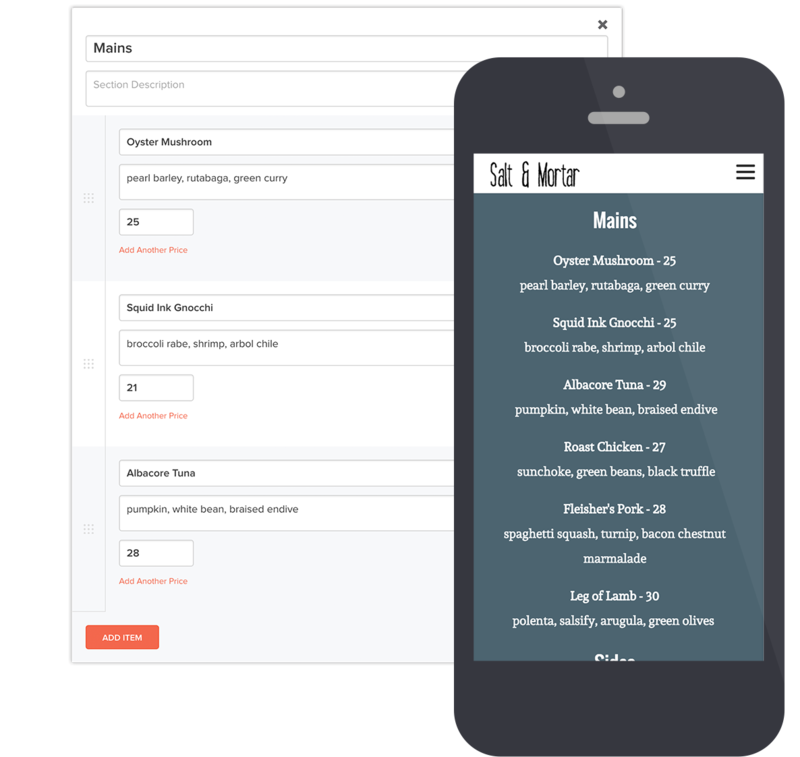 BentoBox's menu editing tool allows for quick and painless menu updates on your restaurant website. No more calling your designer or developer every time you need to change a price. Easily add sections, menu items, descriptions, prices, add-ons, dietary information and more!